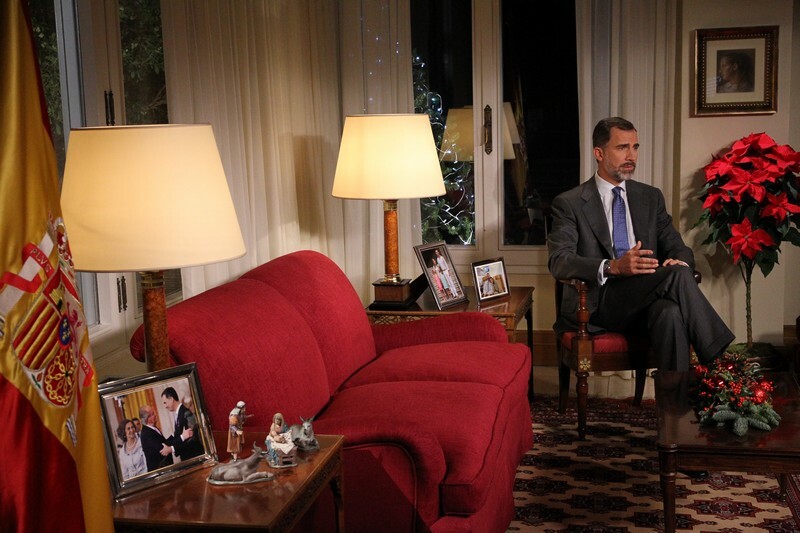 King Felipe was blunt and direct in addressing Spain’s three most pressing issues during his first Christmas Eve message. 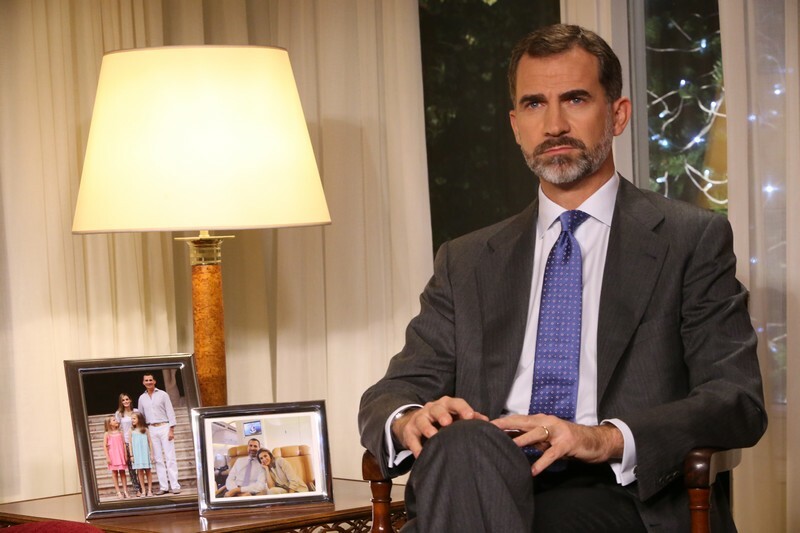 Don Felipe, sitting in a room at Zarzuela Palace, stressed the need to overcome the continuing unemployment crisis, spoke out against corruption and called for unity amid Catalan separatism. The King’s message often includes framed pictures from the year. 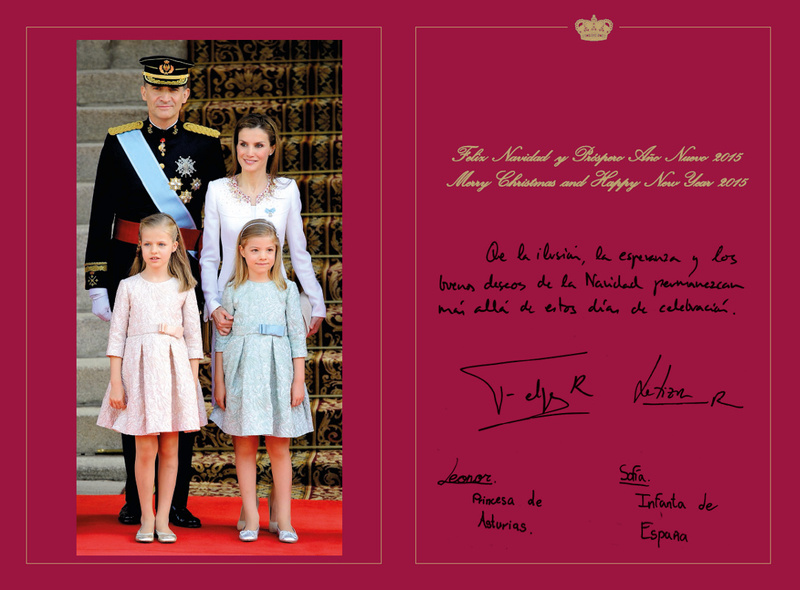 Note frames with Queen Letizia, Princess Leonor and Infanta Sofia. Don Felipe said it would be better for Spain and Catalonia to resolve challenges together rather than face separate futures. 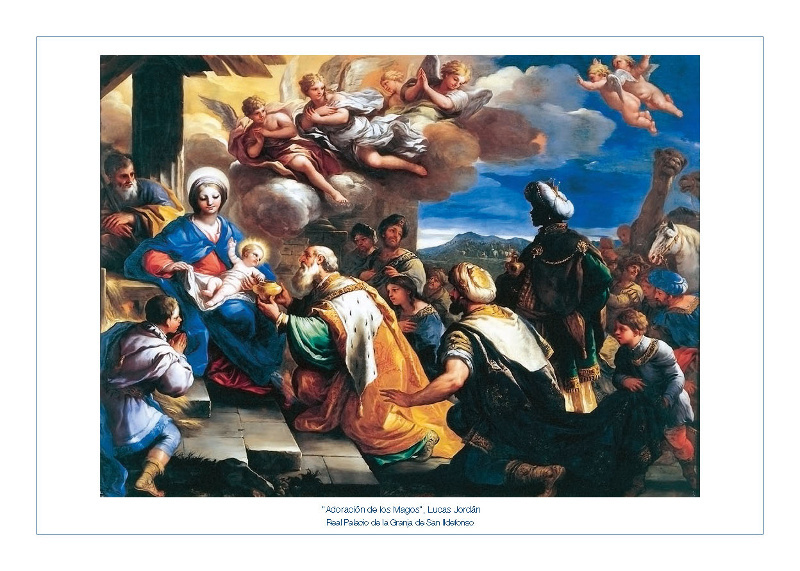 Note a picture of King Juan Carlos’ abdication ceremony at the bottom left. King Felipe did not discuss the fraud allegations against his sister, stemming from her husband’s business dealings, or calls for her to renounce her dynastic rights. But he did zero in on corruption and said it was a positive sign to see the justice system going after wrongdoers. 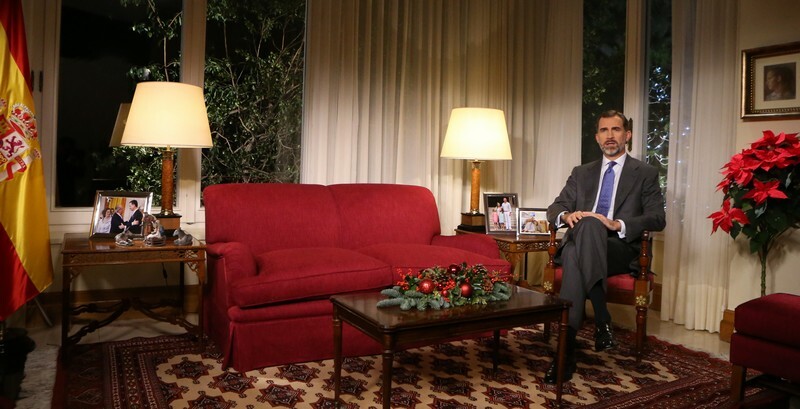 Anticipation is building across Spain for King Felipe’s first Christmas Eve speech of his reign. The speech has often been the Spanish King’s most important message to his people of the year, touching on issues like corruption and the economy. King Felipe and Queen Letizia have reduced their public agenda as the holiday’s approach, and as the King prepares his remarks. 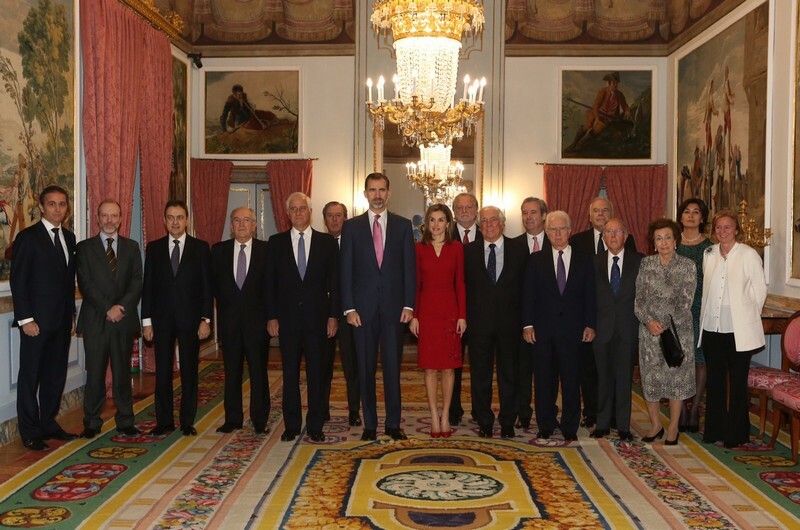 Yesterday they met with official representatives of Spanish Grandees, the highest form of nobility in the country, at the Royal Palace of El Pardo. Their Majesties also met with leaders of Patrimonio Nacional, the government body charged with administering royal palaces and other related cites. Media outlets have been wondering whether King Felipe’s message will touch on his sister’s impending trial. They say the Catalan government television will show Don Felipe’s message. The Basque government channel will not. Both are regions with more republican sentiments. Infanta Cristina, King Juan Carlos’ youngest daughter and King Felipe’s sister, will stand trial for fraud charges, a Balearic Islands judge announced today, according to Spanish media. Members of the Royal Family and extended King’s Family were hoping Infanta Cristina would be able to avoid trial, especially after paying almost 600,000 euros in restitution. 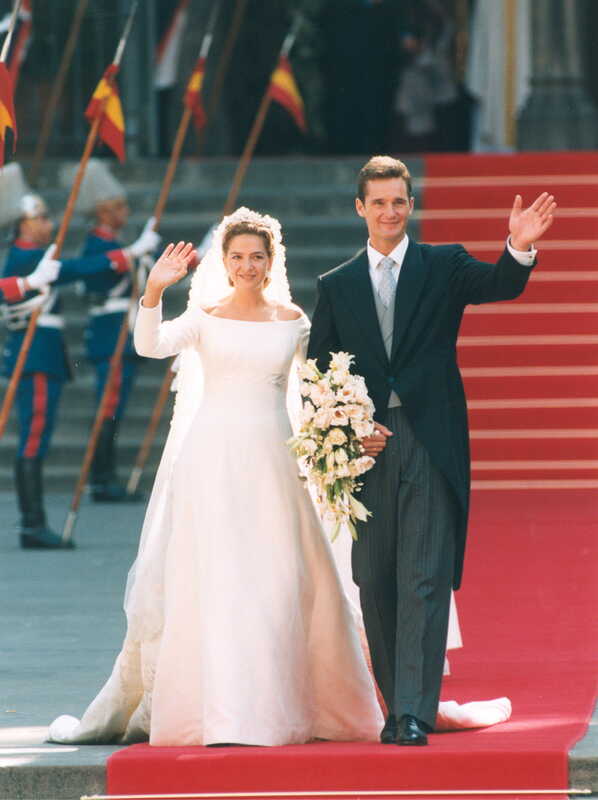 Infanta Cristina’s wedding in Barcelona in 1997. © EFE via Casa de S.M. El Rey. Infanta Cristina’s legal troubles are tied to her husband Iñaki Urdangarín’s business dealings. He stands accused of using a non-profit company for personal gain through lucrative government contracts. 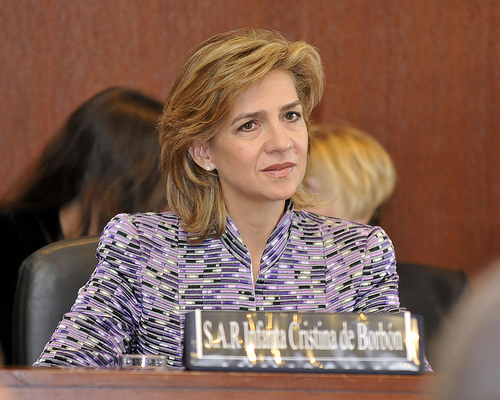 Infanta Cristina, currently 6th in line to the throne, has yet to resign her dynastic rights. Pressure is mounting on her to do so. Italian diplomats and business leaders awarded King Juan Carlos today the 100th anniversary Tiepolo Award, meant to promote Spanish-Italian relations. 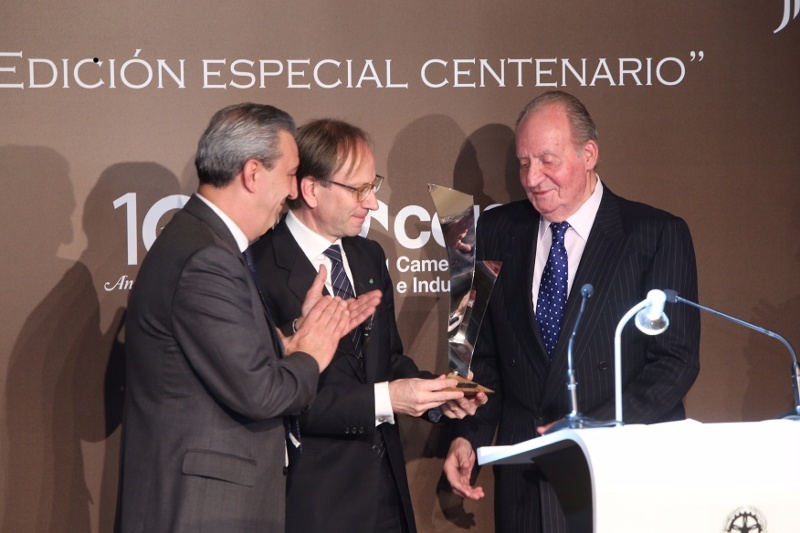 Organizers awarded Don Juan Carlos for his commitment to bilateral relations between the two countries and also his role in Spain’s transition to Democracy. King Juan Carlos, who recently abdicated and handed over power to his son King Felipe, was born in Italy while his parents were in exile. But, like Queen Sofia, he has been making numerous public and private appearances. 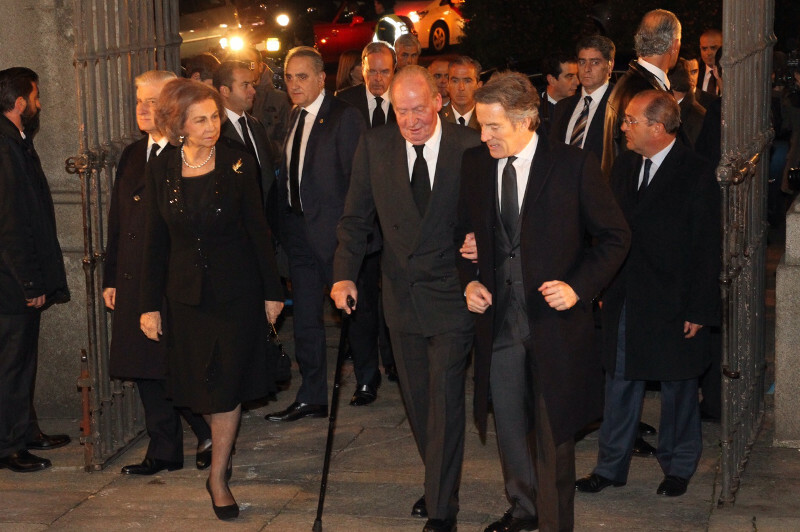 King Juan Carlos and Queen Sofia were together again this week for church services in remembrance of the late Duchess of Alba, the woman with the most titles of nobility in the world. 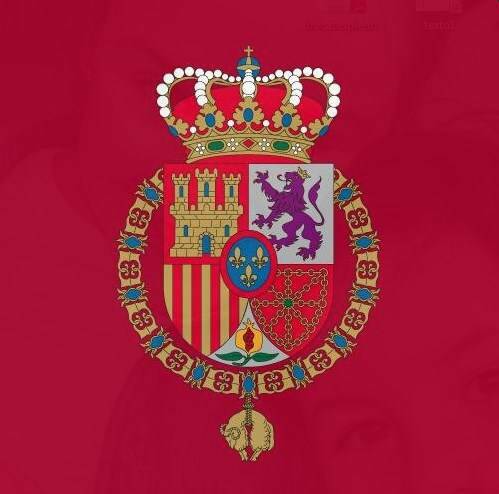 The Madrid services were at the Royal Basilica of San Francisco El Grande, where Their Majesties offered their condolences to the Duchess’ widower and children. 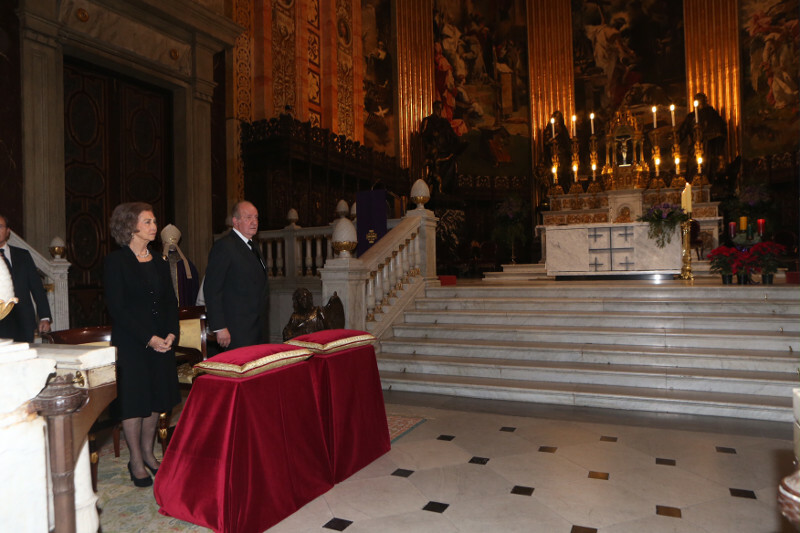 Infanta Elena attended funeral services for the Duchess at the Seville Cathedral shortly after her death last month in official representation of the Crown. Infanta Cristina this week gave a court in Palma de Mallorca almost 600,000 euros in restitution for potential civil violations. Infanta Cristina’s husband, Iñaki Urdangarín, has for years been under investigation for allegations of using a non-profit company for personal gain through lucrative government contracts. Urdangarín has denied responsibility and there has been a judicial tug-of-war over whether his wife should be implicated in the case. The main focus of the Royal Household is keeping the King’s sister out of court, and her paying almost 600,000 euros may achieve that goal. Infanta Cristina, Duchess of Palma. Photo courtesy Organization of American States via Flickr. Spanish media outlets did not only focus on the payment this week, but on the fact that Infanta Cristina’s legal team originally deposited the money at the wrong court in Barcelona rather than Palma. 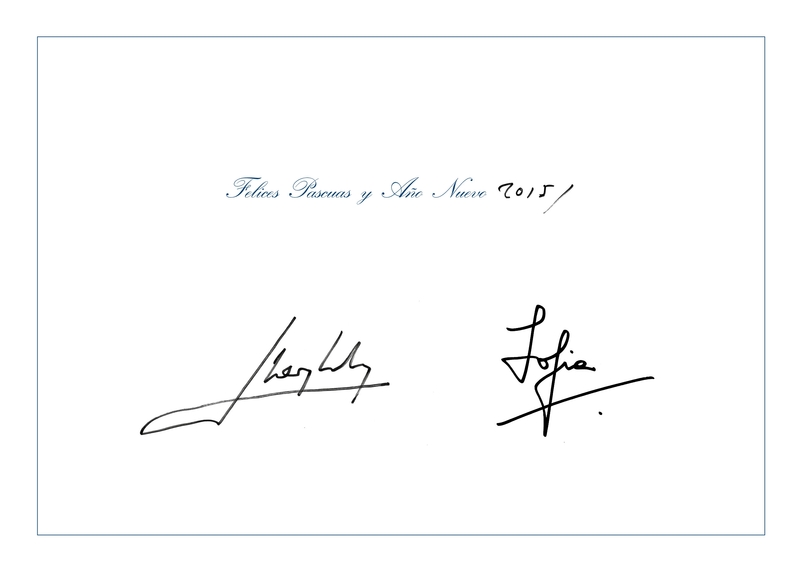 King Juan Carlos’ recent abdication and King Felipe’s proclamation has eased the controversy’s effect on the Royal Family. That’s because Infanta Cristina is no longer a member of the nuclear Royal Family, but of a set of relatives known as the King’s Family.